Abstract : Folded paper exhibits very characteristic shapes, due to the presence of sharp folds and to exact isometry with a given planar pattern. Therefore, none of the physically-based simulators developed so far can handle paper-like material. We propose a purely geometric solution to generate static folded paper geometry from a 2D pattern and a 3D placement of its contour curve. 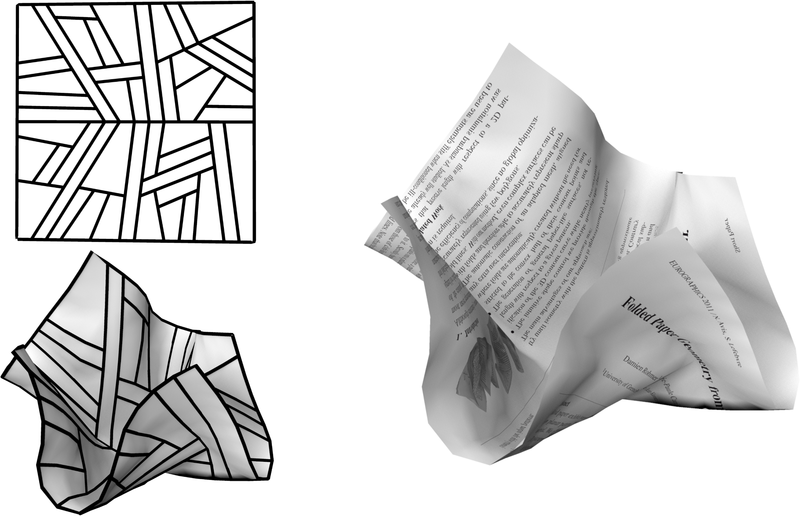 Fold lines are explicitly identified and used to control a recursive, local subdivision process, leading to an efficient procedural modeling of the surface through a fold-aligned mesh. 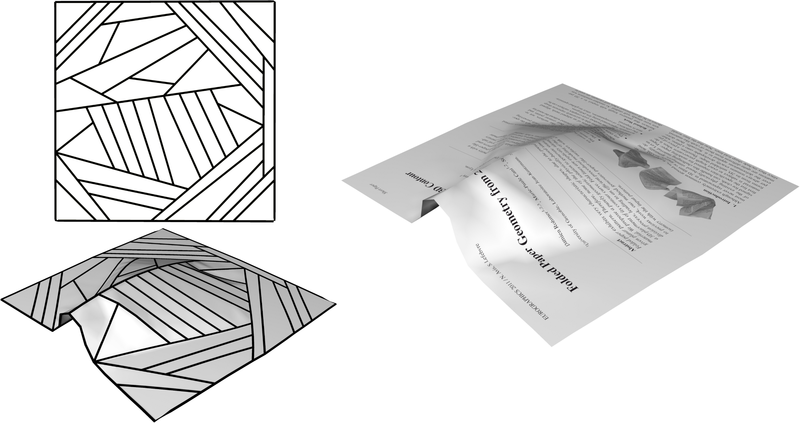 Contrary to previous work, our method generates paper-like surfaces with sharp creases while maintaining approximate isometry with the input pattern.